There is something special about our name. It’s probably one of the first words that we readily respond to – and that continues for all our lives. 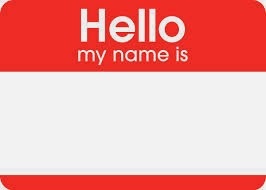 Though we are not totally identified with our name (we are much, much more than that), our name is a powerful entity that sets us apart from those around us. It is the way in which we are singled out, whether we are present or absent from the conversation. When we give our name to others, it speaks of a change in the relationship – from a contract, to a deep friendship. If we withhold our name, there is a usually compelling reason why we choose that action – a refusal to enter into some kind of partnership, even at the basic level. Parents-to-be often spend hours choosing a name for their new addition, whether the criteria include family tradition (we named her after Aunt ____), the sound of the name, or its meaning. There is usually a purpose for the final choice. We surround the giving of the name with ritual – from simple naming ceremonies, to more elaborate christening or baptismal services. Since those of us who live in the west come mostly from a Judeo-Christian background, it may be helpful to take a brief excursion into these vehicles through which this understanding of names was channeled to us today. The ideas certainly did not originate with these traditions. Traditionally, when someone was given a name, it denoted an expectation, a destiny upon which the new human being would embark upon. In Biblical times, a change of name heralded a change of destiny. Thus Abram (High Father) is renamed Abraham (the Father of a Multitude); Simon (He has Heard) becomes Peter (the Stone, or the Rock). The change of name resulted in a new way of being seen, a new perspective unfolding. The writers of the Old Testament understood that naming something gave one power over that which is named. Hence, in the second Creation Legend all the creatures were brought before Adam (Man) so that he could name them. He even gets to name Eve (Mother of All the Living) – which probably accounts for the subordination of women to men throughout history. (This is still quoted today by some religious groups which believe that men should be the ‘head’ of the family). For this reason, the Hebrews would not give a name to their God because you could not have power over the deity. In the story of the burning bush, Moses is given the understanding of the divine as ‘I AM THAT I AM’ (JHVH -> YHWH -> Yahweh). This is a generic name – not a personal name. After all, they understood that the Divine Name was to be hidden from humanity. This idea is picked up in the New Testament in the stories of the casting out of demons. When Jesus of Nazareth confronts the demons he demands their name. Once he has their name, they subject themselves to his authority, and are dealt with accordingly. Later, the disciples of the Nazarene, also cast out demons. However, they do not do this in their own name, but ‘in the name of Jesus’, who empowered them to do so, in his name. The link between ‘name’ and ‘authority’ is very clear. Moving away from these religious traditions, how does the power of naming things affect us today? 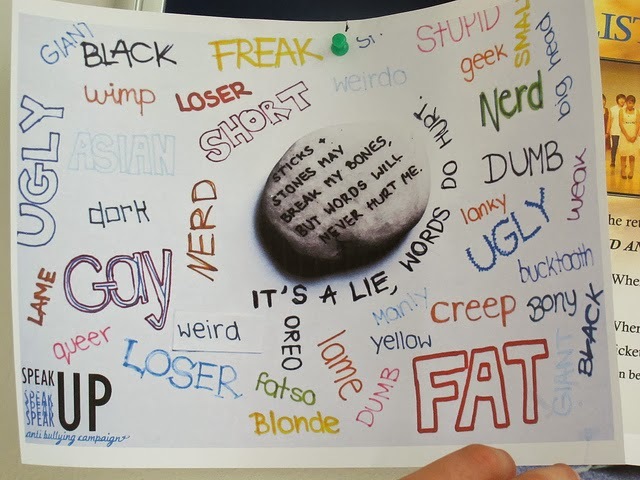 We all remember the little ditty, ‘Sticks and Stones may break my bones, but names will never hurt me’. We were told to recite this to ourselves and others as a buffer to the emotional pain that was being inflicted upon us. Of course, it didn’t work. Too many have experienced that, although physical injuries may heal, names that we have been called in the past can continue to haunt us throughout our lives. When little ones tell us that someone is calling them names, we’d better take heed and address the issue as soon as possible. We often go about our day with cares, concerns, and worries that occupy our minds – sometimes constantly. We fret over issues, incidents in the past, people with whom we interact, what people think of us, what decision we should make, how to put something right etc. While these things remain in our heads, it’s as if they have a power over us. Sometimes, this leads to lack of sleep, stress, or even (in severe circumstances) clinical depression. When we find that ‘trusted someone’ to talk to about our concerns, we often find that we begin to take control over that which has bothered us for so long. Our problems don’t seem as ‘big’ as they were before we voiced them. Until we speak them, they continue to hold power over us. Once we ‘name’ them, we begin to have power over them, to take ‘authority’ over them. Maybe the ancient biblical writers, in their wisdom, understood this human truth and they expressed it through the tools of religious imagery that they had at hand. We may or may not subscribe to those religious traditions today; however, we can certainly embrace the deep insights that have been preserved. It may help us to live life more peacefully and in harmonious authority within ourselves. Maybe it’s time to reclaim the truth of who we really are, which is so much more than our name.